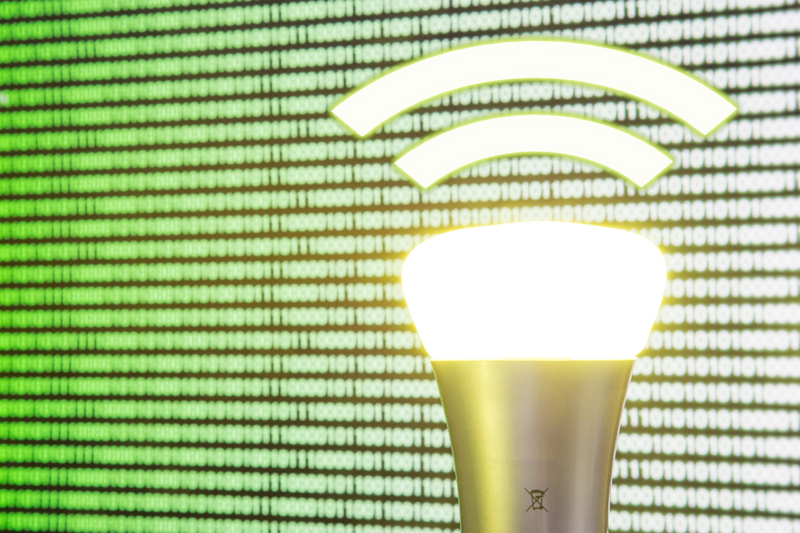 Li-Fi is the latest technology to shake up the world of wireless communications. 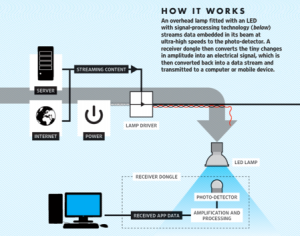 LiFi is a wireless communications system that uses light instead of radio waves (such as WiFi or Bluetooth), thereby permitting data transmission through light-emitting diodes (LEDs). Transmission reception is achieved through a sensor; a mobile telephone camera for example. Light encodes messages the same way radio transmissions do, as both are composed of electromagnetic waves that operate at different frequencies. In fact, light has the advantage of being extremely versatile: not only because current communications have practically saturated the radioelectric spectrum, but because visible light bandwidth comes in at over 10,000 times wider than radio frequencies. LED transmitters send messages through light pulses, which are so quick they’re imperceptible to the human eye. Even though said system is based on visible light, infrared and ultraviolet may also be used when broadening the spectrum (adjusting brightness so it’s imperceptible). 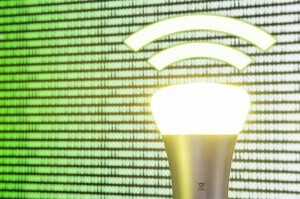 The receiver can detect said light without line of sight, as it reflects off surfaces such as walls and ceilings. The most lauded asset of Li Fi is speed, which is far superior to Wi-Fi although it’s difficult to say by how much. That said, researchers have achieved rates of more than 10 Gbps under lab conditions. In addition to speed, Li-Fi has another advantage: its lack of electromagnetic interference, which makes it very useful in sensitive areas such as aircraft cabins, hospitals and other places where a traditional mobile connection cannot be used. Furthermore, thanks to the fact its transmissions are not susceptible to remote point hacking, it’s extremely secure. As for drawbacks, the most important is that Li-Fi has been designed to work for shortwave (as obviously light cannot penetrate walls nor achieve long distances through LEDs). Another drawback one must take into account is light interferences, which may diminish transmission quality. A further problem to be addressed is initial price: however, costs will drop as said technology becomes further established, particularly as there are more and more products making their appearance on the market. Although it’s still too soon to tell how far Li-Fi will go, it can be categorically stated this new technology will become indispensable to Wi-Fi (offering new applications and possibilities), as a direct complement in areas where Wi-Fi alone is simply inadequate. Li-Fi technology has most definitely arrived to stay and will take, sooner rather than later, pole position in wireless communication technology. Teldat, a well-known manufacturer of wireless solutions, will be keeping well abreast of all developments in this rapidly advancing field.